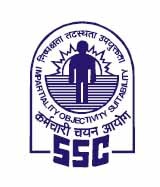 Staff Selection Commission (SSC) has published the Marks of Paper-I and Paper-II Recruitment of Sub – Inspectors in Delhi Police, CAPFs and Assistant Sub – Inspectors in CISF Examination 2017. The candidates may check their marks on the following link using their Registration Number/Roll Number and Registered Password. This facility will be available for the candidates up to 5.00PM of 25th of April 2018.